Instructors never need to manually give students access to their Bear Tracks credit courses on eClass - students are automatically enrolled and gain access to the course based on the Start and End dates specified by the requester during the course creation process. Courses open and close at 12:01AM on the dates specified. These dates default to a start date of the first day of scheduled classes for the term and 3 weeks past the end of the exam period for a closing date. Note: If you have forgotten the dates you set and/or want to change them, please consult the following article: Switching Your Course Start and End Dates. 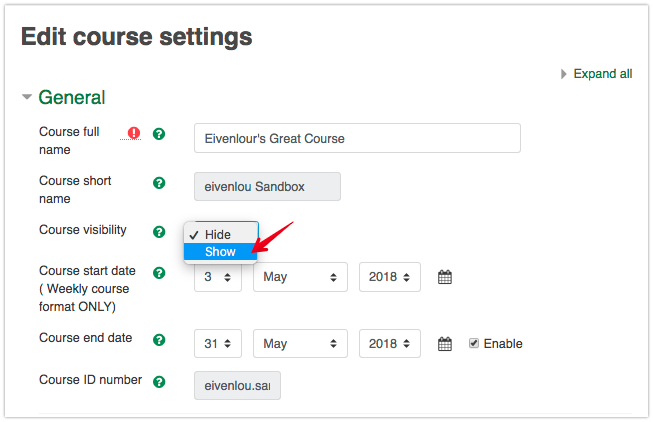 Changing the dates in the block will automatically open/close your course by adjusting the setting below. Alternatively, any instructor in a course can manually control access to their course, either to open it when they desire or to close it if necessary. 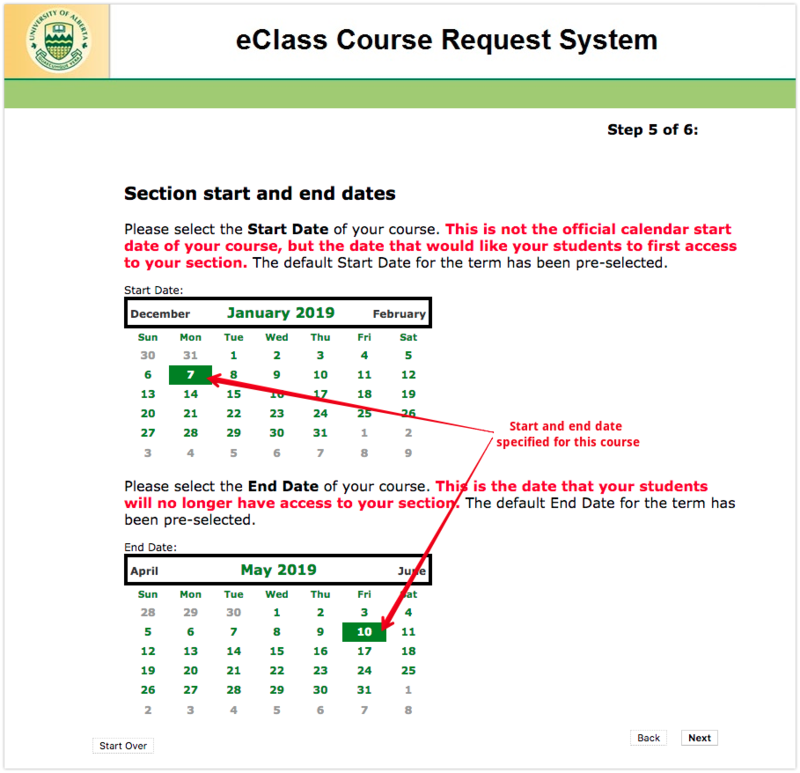 Note that changes made here will override the dates specified in your Course Management block. 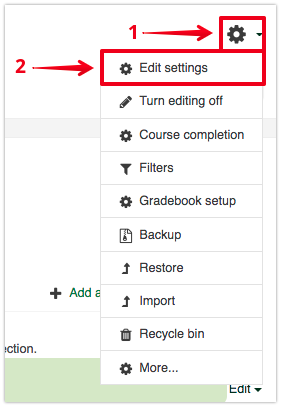 Click on the gear icon on your course main page, then select Edit settings. On the Edit course settings page, in the General category, adjust the value to either Visible to open the class; or to Hide to close the class. Once you are done click on Save Changes button at the bottom of the page.